I enjoyed this story just as I did the first in the series. We saw Cris in the first book and there was no way I would forget the man with a mane of red hair. He has become more frustrated with his job and finally reaches a breaking point. Bennett has tried to be the perfect son and keep their family together for years but as his brother continues to spiral out of control he needs support from somewhere. Cris has worked hard to not rely on his family but that has meant not exactly having a job that his family thinks highly of. Bennett has openly denied himself for years though seeing his brother he knows h won’t be able to forever. I liked both of these characters and was rooting for them the whole time. I loved seeing Bennett give up all of his control and allow Cris to support him and be there for him when he needed him most. I was glad the Cris was able to get out from under his horrible manager thought Gideon became a big part of that. I am hoping the next book focuses on Bennetts brother. The cover art by Kanaxa is great and I love how it follows the style from the first book. This entry was posted in Book Reviews, Books, Contemporary fiction, Dreamspinner Press, eBooks, LGBTQ Book Reviews, M/M Book Reviews, M/M Contemporary Fiction, M/M Fiction, M/M Romance and tagged An Alisa Release Day Review: Secretly Dating the Lionman (Cowboys and Angels: Book Two) by Sue Brown, Author Sue Brown, Cowboys and Angels series by Sue Brown, Secretly Dating the Lionman (Cowboys and Angels: Book Two) by Sue Brown. I was a bit conflicted about whether I should even review this book, since I wasn’t really impressed with the first in the series, and it was kind of a chore to read Alpha Barman. But, I thought, it really can’t get any worse, and I usually like this author, so I’ll give her a chance to redeem herself. Well, maybe she did. A little. In Alpha Chef, Jake and Mitch are now back together, and running JT’s bar. And the rest of the team is still hanging out and sleeping on the floor of the bar (????? I didn’t get that at all. Didn’t they have anywhere to go? A hotel? Back home? At least an air mattress???) Which is convenient, because now Mitch’s little brother Greg is in trouble. Greg has been in the witness protection program for 14 years, after witnessing an execution. Greg’s testimony put the murderer in prison, but he’s been moving from place to place, new identity to new identity, always looking over his shoulder as the gang keeps finding him. When his house and the diner where he works are both torched on the same night, he knows he’s been found again. When he can’t reach his handler in the US Marshal’s office, he heads for JT’s bar and his older brother Cole, AKA Mitch, whom he hasn’t seen since Cole left for the Army. Colm Riordan is the most recent marshal in charge of Greg. There has always been attraction there, but neither man acted on it. But Greg is in more trouble than he ever was before, and the danger just ramps up both men’s desire. 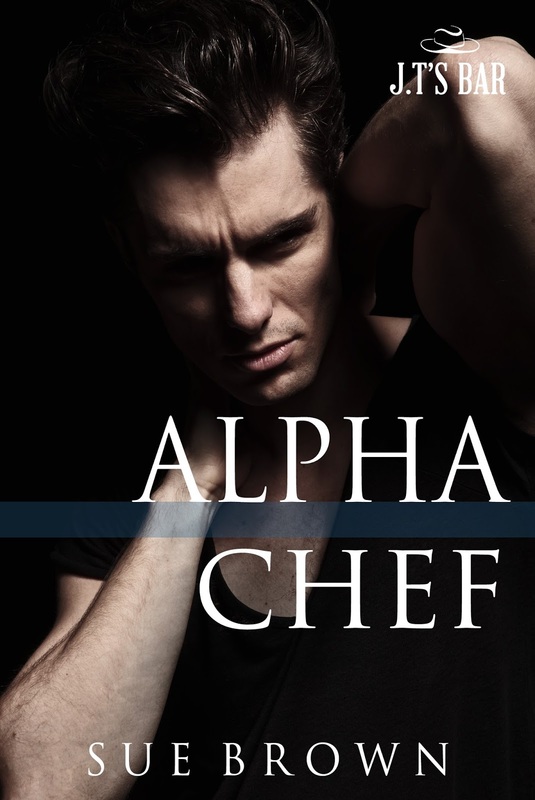 This entry was posted in Book Reviews, Books, Contemporary fiction, eBooks, LGBTQ Book Reviews, M/M Book Reviews, M/M Contemporary Fiction, M/M Fiction, M/M Romance, Uncategorized and tagged A Caryn Review : Alpha Chef (JT’s Bar #2) by Sue Brown, Alpha Chef (JT’s Bar #2) by Sue Brown, Author Sue Brown, m/m action romance. When Greg Mitchelson’s home is torched and his employer killed, Greg fears it’s retribution for his past testimony against a notorious drug gang. Alone, with no money and only the clothes on his back, Greg turns to Colm Riordan, the Deputy US Marshall who’s protected Greg for the last 3 years. But Riordan doesn’t return Greg’s phone calls, and the local Marshal’s office refuses to help him. This entry was posted in Book Giveaways, Book Reviews, Book Tours and Contests, Books, Contemporary fiction, eBooks, LGBTQ Book Reviews, M/M Book Reviews, M/M Contemporary Fiction, M/M Fiction, M/M Romance, Uncategorized and tagged #newbookrelease #giveaway, @suebrownstories, Alpha Chef (JT’s Bar #2) by Sue Brown, Author Sue Brown, Signal Boost Promotions. Like others in this Dreamspun Desires series, this is a sweet M/M romance. The new fireman in town is Dale Maloney. His recent breakup from his long-term partner has shown him that it didn’t pay to stay in the closet at his last job so he immediately comes out to his fellow firefighters. They’re okay with him but rib him over many other things, including backing the rig into the town’s maypole. A historic pole, it’s a well-known centerpiece and the “lord of the manor” comes after Dale with a vengeance. Over time, the two get to know each other and they take a long slow-burn romantic route to consummating their love. Along the way, though, there’s plenty of small arson fires, a mystery to solve, and a decision Ben needs to make about coming out of the closet. Though he doesn’t know it, that secret really isn’t one at all. Ben has never been a stand-offish landowner, so his “people” know very well that he’s gay and that he’s fallen for Dale. There’s a side plot about a woman named Sabrina who was dating Ben before Dale came on the scene. Ben breaks up with her and ends up with her as his new attorney. She helps him get clear of her father, who had really been behind their romance in the first place. He wants to merge the companies, and even near the end of the story, he’s still complaining that he won’t stop until he has his hands on Calminster Hall. Without giving away the ending, I will say that I felt like the Sabrina thread and the business end of that with her father felt like they were dropped. Going back over the story, I see the threads were wrapped up, but they did still feel as if they were going to culminate in more drama. Maybe that’s because these stories follow old tropes and other authors have added that drama so I just assumed this one would as well. Nevertheless, the story remained sweet, but not overly dramatic, and not anything I’d rate higher than 3 stars. If you are loving these Dreamspun books, and you enjoy a UK story with a good deal of local politics and lingo, you should definitely enjoy this one. Cover art by Bree Archer features a handsome shirtless fireman in turnout gear, carrying a kitten. He’s placed against a background featuring a large country mansion. The mansion would be Calminster Hall so represents Ben. 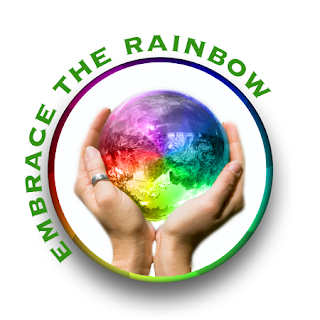 It’s bright and colorful and eye-catching. This entry was posted in Book Reviews, Books, Contemporary fiction, Dreamspinner Press, eBooks, LGBTQ Book Reviews, M/M Book Reviews, M/M Contemporary Fiction, M/M Fiction, M/M Romance and tagged A Barb the Zany Old Lady Release Day Review: Fireman's Pole by Sue Brown, A Dreamspun Desires title from Dreamspinner Press, Author Sue Brown, Fireman's Pole by Sue Brown. OK, I always know that’s a possibility when reading a series, but really??? Ms. Brown, did you really hold out on the bad guy reveal at THE VERY LAST MOMENT??? OK, rant over! It has been 6 months since I read book one, Morning My Angel, and since I was so careful in my review of that book not to give any spoilers, I had to go back and reread it instead of just reading the blurb or my review. Why? Because this book jumped right into the problems between Josh Cooper – now working for the Agency instead of CDR – and Callum Ross – now working for CDR instead of the Agency. Eh, all these spooks and their bosses were running together in my mind anyway, so I just let that one go. In this series, it really seems to be a very incestuous group. I thought at the end of book one that Josh and Callum were together, but apparently I was a bit premature – they kept their relationship mainly in the cyber arena for 6 months between books one and two, and in this one they are almost starting over. OK, so I really didn’t get the purpose of that, but maybe I’ll figure out why that was important in the next book. Really, the entire first chapter was a bit of a question mark for me, I am still not sure how it related to the overall plot, but I have a feeling the relevance of that bit of story will become clear in the next book. Anyway, this time Callum has decided that he is absolutely going to be with Josh, one way or another, so he leaves Seattle to move to London, where Josh is currently working a variety of cases for the Agency, and as usual, loving his work. Moving their relationship into the day to day world isn’t easy for these two alpha males who live for the job, and a lot of the tension comes from the two of them learning how to prioritize differently now that they are a couple, and learning to be more open and honest with each other. When your career is keeping secrets as an undercover operative, it’s hard to change. Making it harder is the fact that employees of the Agency, and their family members, are being murdered left and right, seemingly at random, so Josh and Callum once again team up to discover who the bad guy is and stop him. All of the characters from book one are back, as well as the enigmatic “She” who runs the Agency. Secrets continue to abound, and like their previous case, no one is willing to show all their cards, even to the investigators. (I figured out who the bad guy was before Josh and Callum did, but the secret identity was NOT revealed, and I’m not sure about that yet, though I have my theories). The action wasn’t as fast paced as it was in book one, because there was as much focus on the relationship between Josh and Callum as there was on the case, and those portions of the book were slower. The focus also shifted from Josh to Callum as the main protagonist. Callum may be more complicated, but I personally found Josh more interesting (and certainly more fun). Josh’ personality was a little different in this book – maybe because it’s a different point of view, maybe because he is finally maturing – and I missed the old Josh. I will definitely read the next in the series, despite the cliffhanger ending. I still want to unravel all the threads that are connecting these two outfits, and I want to see Josh and Callum grow as a couple now that they’ve committed. I will just have to have faith that all of the loose ends will be connected, and all of the mysteries revealed, and that all the secondary characters I’ve come to like will still be alive. The cover art by Meredith Russell is similar to that of book one, but the model is much closer to how I imagined Callum. Still not a cover that grips me though. 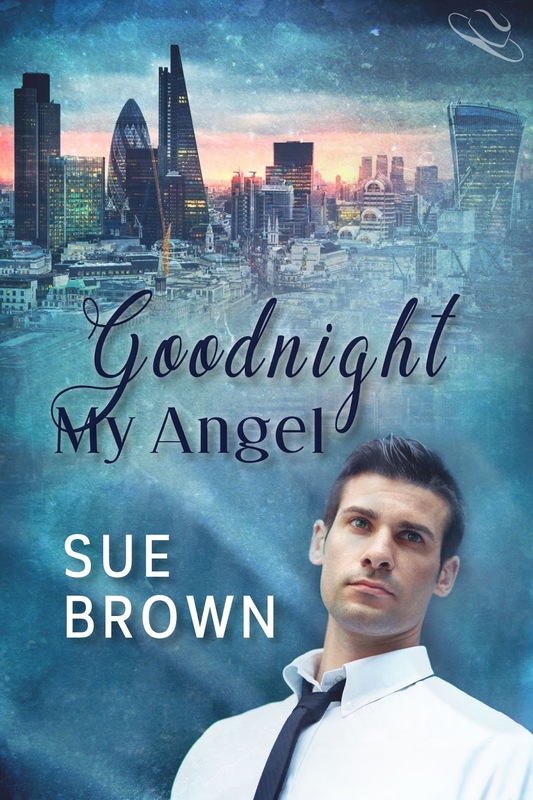 This entry was posted in Book Reviews, Books, eBooks, Fantasy, LGBTQ Book Reviews, M/M Book Reviews, M/M Fiction, M/M Paranormal Fiction, M/M Romance, M/M Supernatural Fiction, Uncategorized and tagged A Caryn Review, A Caryn Review: Goodnight My Angel (Angel Enterprises #2) by Sue Brown, Angel Enterprises Series by Sue Brown, Author Sue Brown, Goodnight My Angel (Angel Enterprises #2) by Sue Brown. 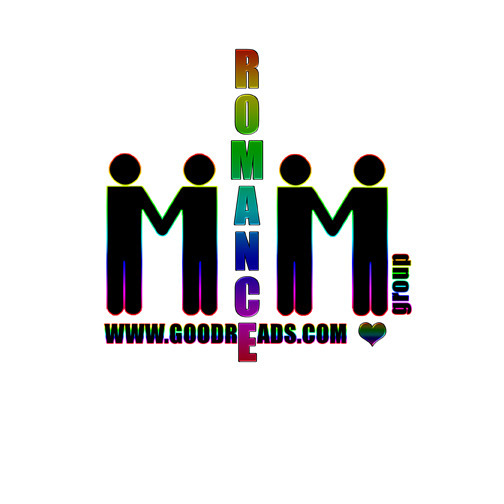 This entry was posted in Book Giveaways, Book Reviews, Book Tours and Contests, Books, Contemporary fiction, eBooks, LGBTQ Book Reviews, M/M Book Reviews, M/M Contemporary Fiction, M/M Fiction, M/M Romance, Uncategorized and tagged Angel Enterprises Series, Author Sue Brown, Goodnight My Angel by Sue Brown, Signal Boost Promotions.